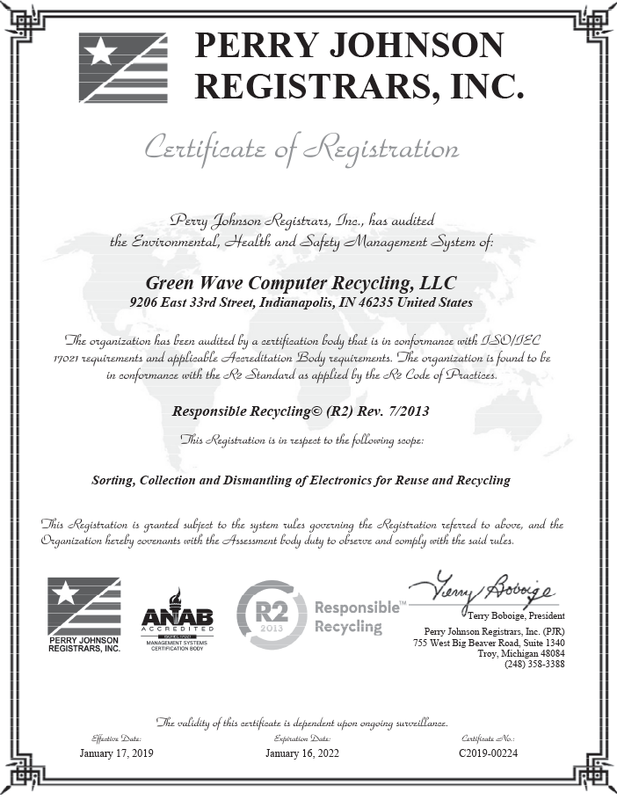 Founded in 2007, Green Wave Computer Recycling has grown from a local electronics recycler to one of the largest privately-owned Midwestern electronics recyclers/collectors. 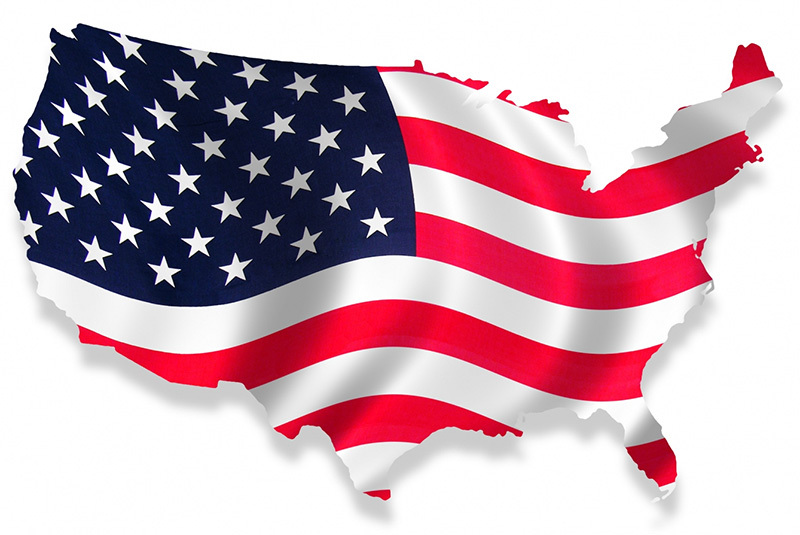 We also service numerous national accounts from coast to coast and provide unique collection and recycling solutions for local, regional, and national customers. We currently operate a 72,000 square foot processing facility in Indianapolis, IN with several satellite collection points throughout the Midwest along with a fleet of trucks and trailers to service numerous accounts. Green Wave Computer Recycling will continually improve our systems while striving to minimize adverse impacts on the environment throughout the operations and managing the end of the product life, including recovery, reuse, recycle and disposal programs and only ensure that it only exports equipment and components to countries that legally accept them. Green Wave Computer Recycling helps you and your organization properly recycle your e-waste and destroy data-containing items to ensure security. We offer complete, auditable, e-waste recycling solutions for businesses, organizations, government agencies, solid waste districts, and the general public. For more information regarding our recycling services, CLICK HERE. We currently eliminate millions of pounds of electronic waste from entering our landfills each year. Our 72,000 square foot Indianapolis processing facility receives and processes semi truck loads of electronics each and every day from customers across the nation. 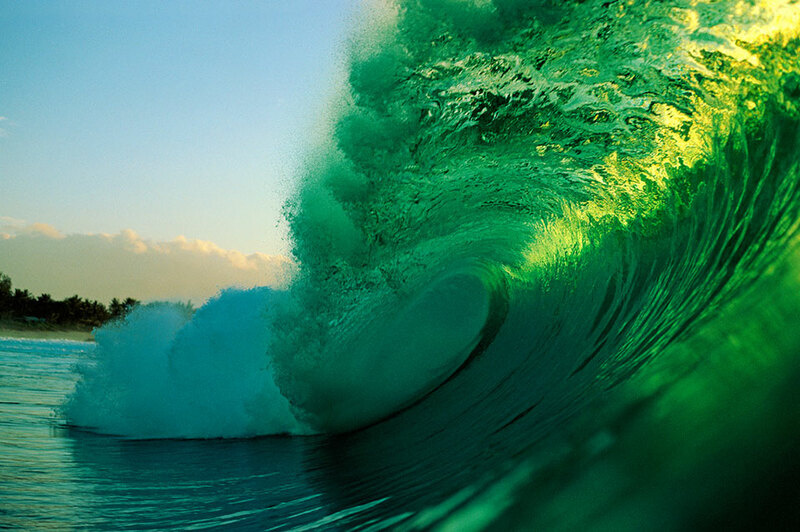 Green Wave Computer Recycling holds itself to a high standard in terms of data security, environmentally compliant recycling practices, social responsibility, and recovering value through reuse. All of these goals fall in line with a voluntary e-waste recycling standard known as R2, which was developed by several industry stakeholders in conjunction with the United States EPA and requires third party audits of our facility, process, and procedures. When you partner with Green Wave, you can rest assured that your equipment will be processed according to the industry's best practices, which means that your equipment will not end up in landfills or exported to unapproved toxic dumps in developing countries. We utilize a network of R2-approved partners along with many, ISO 9001 certified and ISO 14001 certified partners for any processed scrap material that leaves our facility. To reduce liability and protect your company's reputation, make sure you're using an R2 certified recycling partner like us. Learn more about our services, CLICK HERE. You can drop off items at our Indianapolis location! CLICK HERE. Green Wave Computer Recycling holds itself to the highest standard in terms of data and facility security, environmentally sound recycling processes, social responsibility, worker health and safety, and recovering value through reuse. All of these goals fall in line with a voluntary e-waste recycling standard known as R2, which was developed by several industry stakeholders in conjunction with the United States EPA and requires third party audits of our facility. Green Wave Computer Recycling is committed to following the requirements of ISO 14001: 2015, OHSAS 18001: 2007 and the R2: 2013 Standard and to maintain conformance to the requirements of our EH&S management system. We are equally committed to meet or exceed our customer requirements, to continually improve our processes, to prevent pollution and work place injuries, and to maintain compliance with relevant environmental, Occupational Health and Safety and data security legislation and regulations. 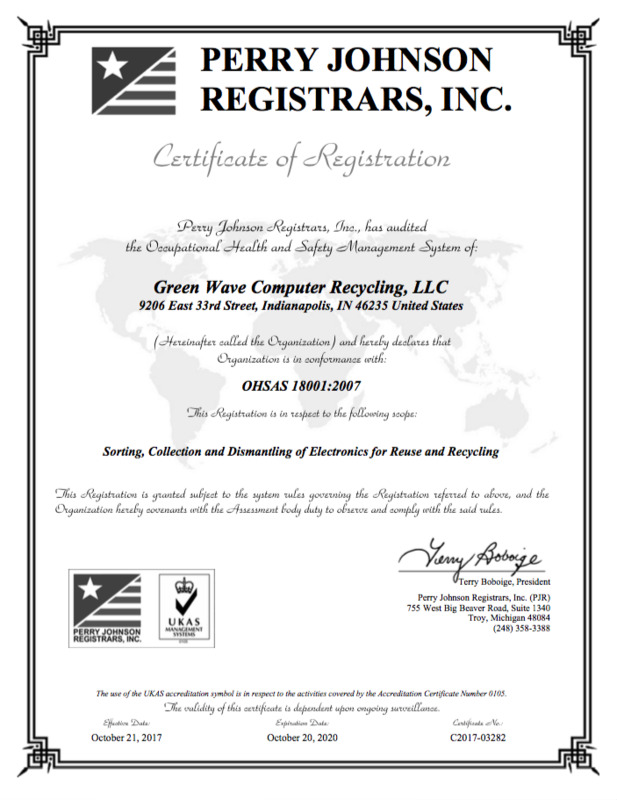 The goal of Green Wave Computer Recycling’s operation is to have a positive impact on the environment through responsible recycling practices that includes the conservation of metals, plastic and other non-renewable resources. 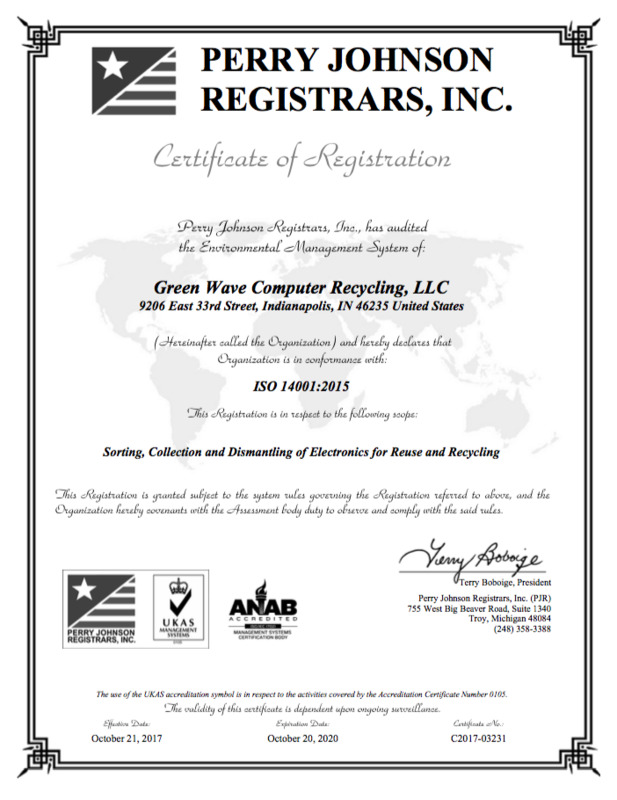 Consistent with these core operations, it is Green Wave Computer Recycling’s overall goal to accomplish our business objectives while meeting and exceeding the environmental and health & safety expectations of our management, employees, customers, suppliers and regulators. We will continually improve our systems while striving to minimize adverse impacts on the environment by managing used and end-of-life electronic equipment, components and materials – with respect to both on-site activities and the selection of downstream vendors - using a “reuse, recover, dispose” hierarchy of responsible management strategies. 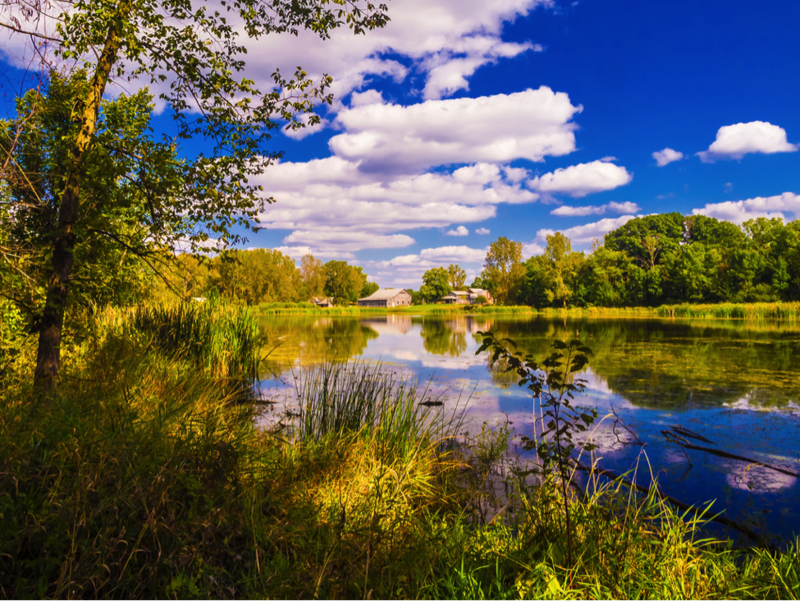 We recognize that the responsibility for protection of the environment and worker health & safety are shared, requiring cooperation between employees and top management. Green Wave Computer Recycling will continually improve our environmental performance through responsible recycling practices. This will include setting goals, taking into consideration our business, financial, operational and legal requirements as well as the views of interested parties.